Each of the twenty-one corners of Yas Marina Circuit is unique and each is a challenge that defines this ultra-modern circuit. The facility is housed on a man-made Yas Island in Abu Dhabi, UAE. 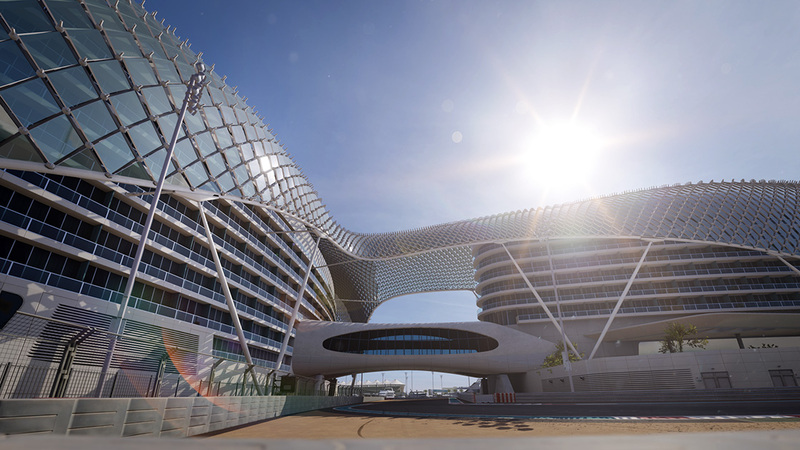 Within the bounds of the circuit, drivers travel underneath the Yas Viceroy Abu Dhabi Hotel as the track twists and turns among the dunes and the yacht-filled marina. Adding further intricacy and challenge, the pit lane exit travels through a swooping tunnel underneath the track. The profound grip the circuit offers can be credited to the Graywacke aggregate shipped from Bayston Hill quarry in Shropshire, England. Each of the track configurations found in Forza Motorsport 5 will put your driving skills to a test.